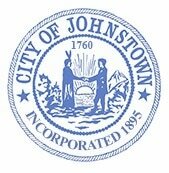 The City of Johnstown welcomes citizen participation through the establishment of various boards and committees. This system is one of the most effective ways for citizens to influence city policies and activities. Most boards consist of volunteered members who must receive a mayoral appointment, with council approval. If you are interested in serving, please contact the City Clerks office. The Board of Assessment Review shall be constituted as provided for in the Real Property Tax Law and shall possess all the powers and perform all the duties as conferred by the Real Property Tax Law. This board consists of five (5) members, each with a five (5) year term. The Board of Health as provided by Section 301 of the Public Health Law, consists of the mayor, who is its president, and six (6) other members, one whom shall be a competent physician. All members are appointed by the mayor with council approval and serve a three (3) year term. The sewer board consists of six (6) members; three (3) representatives from the City of Johnstown and three (3) representatives from the City of Gloversville. These members are appointed by the mayor, with council approval, and serve a three (3) year term. For more information about the Joint Sewer Board, contact the Gloversville-Johnstown Wastewater Treatment Facility. Among the planning board's many powers and duties, its chief objection is to prepare or administer a plan for the growth and development of the city. It is made up of two (2) members who are officials of the city and five (5) who do not hold any municipal office. All members are appointed by the mayor with council approval and serve a three (3) year term, except the two officials whose term ends with that of the appointing mayor. Should a matter be required to appear before the planning board, a meeting will convene on the 1st Tuesday of the month at 4:00 pm in the Council Chambers in City Hall. The Examining Board of Plumbers investigates and examines the qualifications and fitness of each applicant for a license to engage in the trade, business or calling of plumbing for the City of Johnstown. All members are appointed by the mayor with council approval and serve a three (3) year term. ​Members of the Senior Center Boards are appointed by the Director of the Senior Center. For more information about the Senior Center and its board, please visit Shirley J. Luck Senior Citizens Center. The Zoning Board of Appeals is charged with carrying out the requirements delegated to it by the City of Johnstown’s Zoning Ordinance , including but not limited to: interpreting the provisions of the Zoning Ordinance, reviewing actions of the Code Enforcement official, and the granting or denial of special permits or variances. Should a matter be required to appear before the Zoning Board of Appeals, a meeting will convene on the 3rd Thursday of the month at 3:45 pm. in the Council Chambers in City Hall.